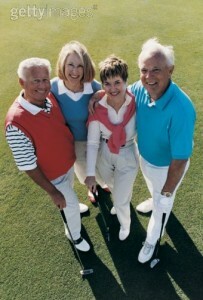 Join this fun group of Seniors golfers for 9 holes each week. The group keeps it’s own updated handicaps for the group and every week they play a different game so anybody can win! Open to all levels of players 55+, Men and Women. Organized play year round with Spring and Fall Tournaments and a Fall end of season BBQ. Then just pay greens fees and $2.00 into the pot weekly. **Note: if you have not previously created an account you will need to do so before registering. Follow the prompts on the registration page. Thanks.